Elan is redeveloping the former Trucks 2 Go site on Warrington Road to provide 15 new homes. Work on the development is underway and potential purchasers have been showing keen interest in the properties. In response to the volume of enquiries, Elan is releasing the homes “off plan” and inviting buyers to make an appointment to discuss their housing needs with the sales team. Marie Morris, sales director for Elan Homes in the North, said: “Elan has a reputation for building quality homes in desirable locations and the company’s previous success in the Warrington area speaks for itself. We’ve previously built in Croft and Walton, and Culcheth Green will offer homes with the same high standard specification. “We’ve been receiving enquiries from prospective purchasers since we first announced plans to bring this site back into good use and there’s a growing curiosity amongst buyers eager to know when the homes will be released for sale. In response to the demand we are offering buyers the chance to reserve “off plan”. 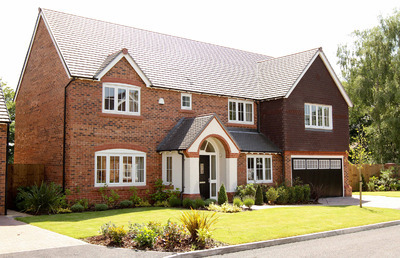 Culcheth Green will offer a choice of four and five-bedroom homes. Prices for the properties will be announced when the first homes are released for sale in the New Year. The new homes are being built in an area served by a choice of well-regarded schools, with amenities people want and need nearby including opportunities to eat, drink, shop and walk. Along with new homes, Elan will create a biodiversity area within the development. The homebuilder will also invest more than £300,000 in affordable housing and contribute almost £50,000 to Culcheth High School. Find out more and register your interest via the website elan-homes.co.uk/culcheth-green.